The Customize Windows > Computer and Internet > Hardware > What is Logic Analyzer? What is Use of Logic Analyzer? There are quite frequently asked questions like – What is Logic Analyzer? What is Use of Logic Analyzer? Is it a necessary equipment for a leaner of electronics? Possibly for answering them, we need to know basic about Logic Analyzer. A logic analyzer is a testing instrument which captures the data of a digital circuit and displays it for analysis, similar to how an oscilloscope does, but unlike oscilloscope, Logic Analyzer is capable of visualizing the signals of multiple channels. Besides allowing to visualize data in order to verify the functioning, a logic analyzer can measure times between level changes, number of logical states, etc. The way to capture data from a logic analyzer is by connecting an appropriate logic point on the data bus to be measured. There are common 3 types of Logic Analyzers – PC-based, Modular and Portable. These days, there is USB logic analyzers. What is Use of Logic Analyzer? 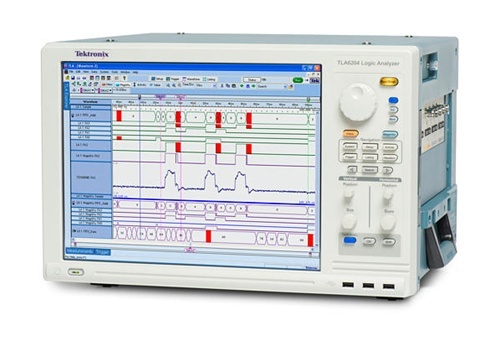 Logic analyzers are mainly used for the detection of errors and testing of prototypes before their manufacture, checking the inputs and subsequently analyzing the behavior of their outputs. If a logic analyzer is started when a certain logical condition occurs in the digital circuit to be analyzed. At that time the analyzer copies a large amount of digital data from the system to which it is connected. Later it will be possible to visualize this data and even see the flow diagram of the system. When logical analyzers began to be used, it was common to connect several hundred clips to a digital system. The specific connectors appeared later. Currently, modern computers have made logical analyzers have fallen into disuse in many cases. For example, many microprocessors have hardware support for debugging software. Many digital designs, including integrated circuits, are simulated to find faults before they are built. Although such simulations do not exactly reproduce the signals as a logic analyzer can obtain them from a real prototype, they cover most of the real needs in terms of debugging a program. In addition, the most advanced Logic Analyzers have a connection to the PC where you can see the data through software. Is it a necessary equipment for a leaner of electronics? No, as dedicated typical unit is usually too costly and cheaper oscilloscope kit and a good multimeter is enough. Some USB logic analyzers actually cheap. We only suggest only multimeter, hardly a clamp multimeter for the beginners. This Article Has Been Shared 2932 Times! Articles Related to What is Logic Analyzer? What is Use of Logic Analyzer? Working With AC Demands Minimal Precaution. Here is Circuit Diagram & Code to Blink AC Bulb With Arduino Relay Module. What Are AMOLED Display and Gorilla Glass of Smartphones? AMOLED Display and Gorilla Glass Has Been Popular Out of Marketing by the Companies. What Are AMOLED Display and Gorilla Glass of Smartphones? If We Solder LED With Resistor Directly With Male Headers They Become Ready to Use LED For Breadboard With Male Headers For Arduino, Pi Projects. Title: What is Logic Analyzer? What is Use of Logic Analyzer? Cite this article as: Abhishek Ghosh, "What is Logic Analyzer? What is Use of Logic Analyzer?," in The Customize Windows, May 14, 2018, April 23, 2019, https://thecustomizewindows.com/2018/05/what-is-logic-analyzer-what-is-use-of-logic-analyzer/.